Formerly known as ""LUSH"". Conceived & produced by Adam Plack, ""Coco de Mer"" is a lush fusion of traditional French, Italian, and Latin arias, live orchestration, and instruments which are elegantly stitched together with sensual, downtempo dance grooves & modern music. 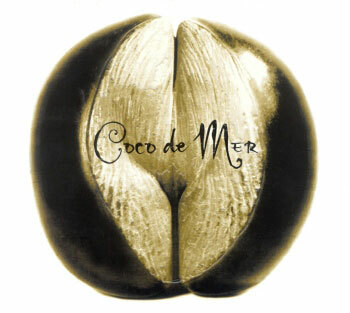 ""Coco de Mer"" is a potent musical experience for the concert virgin. Australian born, New York based, Adam Plack has embraced his own childhood passion for opera, jazz, and the blues with the intention of taking opera from the perfumed arid halls of ""Uptown"" onto the funky street and into the heart of ""Downtown"". ""Coco de Mer"" features the angelic vocals of acclaimed soprano Chen Reis, virtuoso pianist Ilan Rechtman under direction of Plack. Although the arias written by the great classical composers Bach, Handel, Delibes, Bizet, Puccini and others are a hundred years old and beyond, in Adam Plack's deft hand the emotions are deeply touching & ring true with us, the 21st Century listener.